From Medieval to mythical, under the sea and outer space, today's festival landscape has seen every gimmick. But that's what they ultimately are – orchestrated themes crafted by marketing and production wizards. At it's best, the experience can be immersive and otherworldly. At it's worst, campy and contrived. 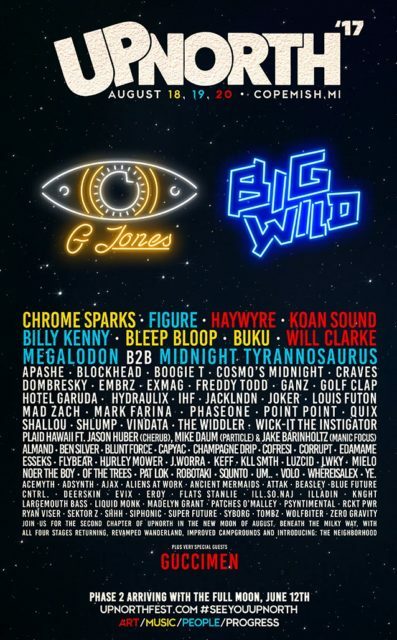 Michigan's UpNorth Music & Arts Festival, returning for its second iteration August 18-20 with the likes of G. Jones, Big Wild, Chrome Sparks, and Haywyre, is deeply focused around the lunar cycle, but don't call it a theme. 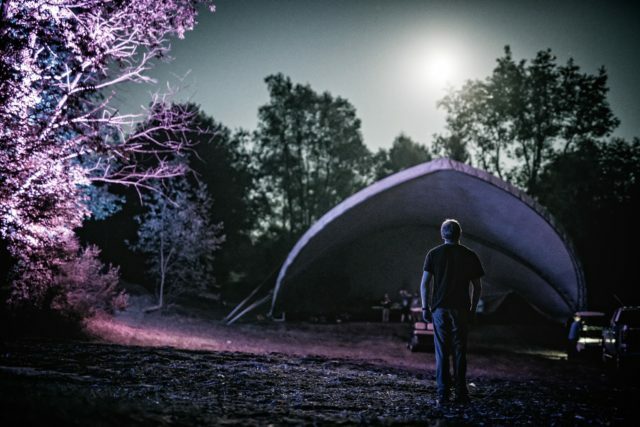 Celestial activity has been at the heart of this festival since its inception – last year's event took place during a full moon and the 2017 lineup announcement is following a lunar schedule (full lineup to coincide with June 12's full moon). But that's merely where the interstellar connectivity of UpNorth begins. The lunar focus of the festival was born with festival director Christoper Ponder, who says, "I love the moon like a brother." Talking to Ponder about his lunar love affair is akin to hearing someone describe their boyhood hero. "The moon will always show up, but you have to know where to look and when," explains Ponder. "Our first year (last year) we choose the dates because it was during the full moon of August – the only full moon to light the sky from dusk to dawn. The moon rose at 6PM directly behind the center of the Luna Stage, and traveled over the top of the dance area throughout the night." It doesn't get more genuine than that. 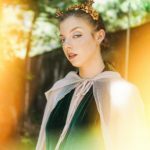 "It is interesting to me how festivals pick where and how they orient their stages, the moon helps us to pair a purpose with things like this." "I think to sum it up, the moon is like our sidekick keeping us honest," Ponder continues. "A festival is so many things, but I think it is a vibe that is a product of all of the people involved and that attend." Tickets and camping options are on sale now.